AS Sky Sports prepares to broadcast its 25th World Darts Championship, the Professional Darts Corporation has agreed a new seven-year broadcast deal that will take Sky’s coverage of the sport into a fourth decade. 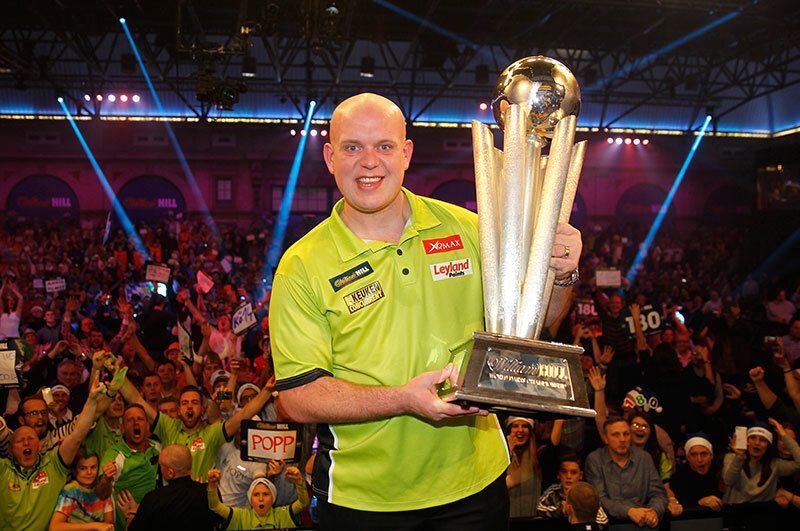 Running until 2025, Sky customers will be able to watch the best of live darts throughout the year including the sport’s biggest tournament, the William Hill World Darts Championship, as well as the 16-week Unibet Premier League, and the prestigious BetVictor World Matchplay. Sky Sports’ relationship with the PDC started in 1993/1994 when it broadcast the World Championship, which has evolved from its first home at the Circus Tavern in Essex with 24 players and a prize pot of £64,000 to the world-famous Alexandra Palace in London with triple the number of competitors and a prize fund of £1.8million. The new contract will give Sky Sports customers 60 days of live darts throughout each year, featuring the William Hill World Championship, Unibet Premier League, BetVictor World Matchplay, bwin Grand Slam of Darts, Unibet World Grand Prix and Betway World Cup of Darts. For the first time, Sky Sports customers will be able to enjoy new, dedicated, darts programming across the year, including The Darts Show – a 12-episode, monthly magazine programme exclusive to the Sky Sports Action & Arena channels from January 2018. The channels will also broadcast the Unibet Premier League live, including the inaugural night in Berlin – a new host city on the 16-stop tour and home to the fastest growing darts market in the world. With the William Hill World Darts Championship starting today, fans can enjoy every session live and exclusive on Sky Sports Darts HD (channel 408). The Sky Sports Main Event channel will also simulcast live play on specific days, and non-Sky customers can follow all the action with daily, weekly or monthly sports passes from NOW TV. The announcement continues a series of strong major rights deals for Sky Sports over the past twelve months; including deals with the EFL and ECB, Women’s Six Nations Rugby, UEFA Qualifiers, and from 2019, Sky Sports will become the exclusive home of Formula 1® in the UK & ROI.